HRA Research is one of the country’s leading market research firms serving domestic and international pharmaceutical companies as well as medical device and equipment manufacturers. The company is based in Fairfield, New Jersey and is best known for conducting client-sponsored custom research studies – principally through physician intercepts at over 50 medical meetings and conventions every year. The Company also has a well-established practice in syndicated research in which data are collected and processed under the umbrella audit term, Medical Trends®. HRA’s syndicated studies include hospital formulary committee activity, audits on the use of anesthetics and analgesics in hospital settings, and a number of other syndicated products. HRA’s client roster reads like a Who’s Who of pharmaceutical companies and manufacturers of medical devices and equipment. 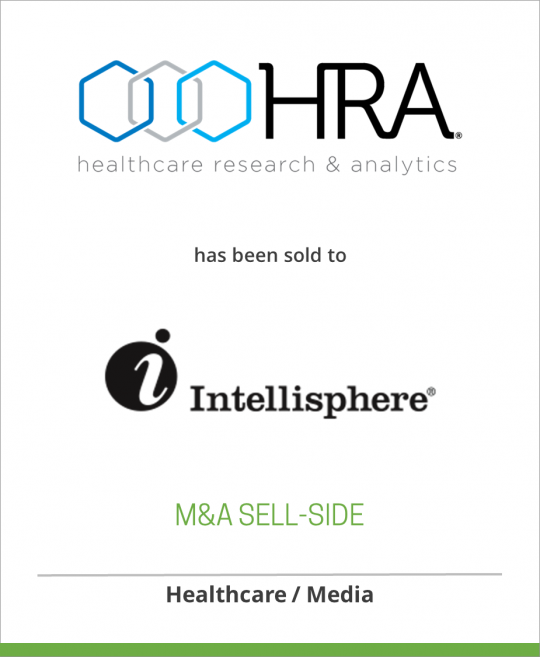 Intellisphere, LLC, located in Plainsboro, New Jersey, is the publisher of the award-winning journal MD NetGuide, a peer-reviewed series of medical journals that cover the nexus of healthcare and technology exclusively for physicians. Its medical journalists research and write about the people, companies, trends, websites and devices that are at the forefront of cutting-edge medicine and information technology across eight specialties: primary care, cardiology, endocrinology, gastroenterology, rheumatology, neurology, psychiatry and oncology, as well a number of custom publications. MD Net Guide’s supporting website is also a peer-reviewed filter of Internet resources for physicians. Its newly launched physician portal www.mdng.com includes extensive online resources: CME Online, PDA Resources, eAbstracts, Medsites, Clinical Trial Reports, Clinical Focus, and Patient Friendly Websites.